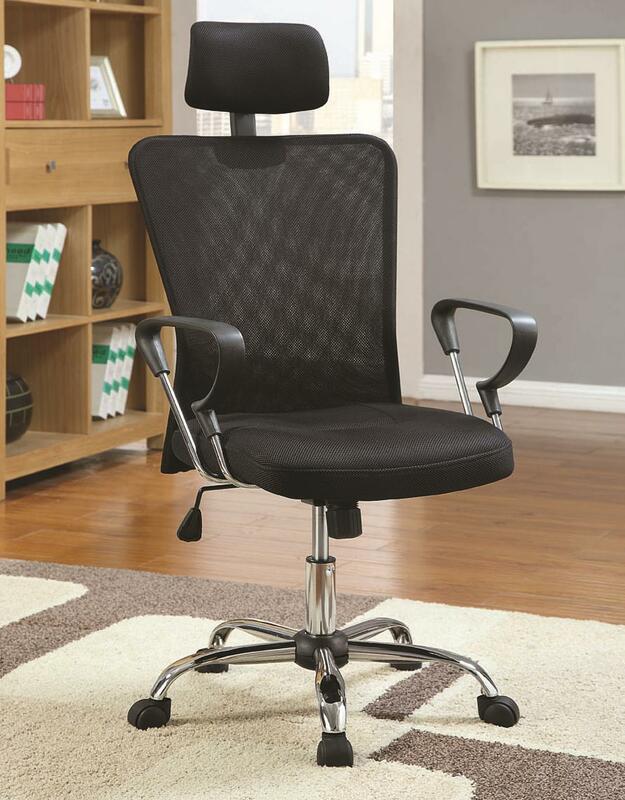 Whether you are working at home or in the office, this contemporary task chair will keep you cool and comfortable all day long. Body-contoured seat and backrest with detached armrests ensure added support and comfort for those long hours. A pneumatic seat height adjustment lever allows for individualized comfort to easily conform to your desk or workstation. Silver-finished metal base is outfitted with caster wheels for easy mobility. Covered in a black air mesh fabric with extra headrest, this executive chair promises an extra level of cool comfortability to last for years to come.